BROOKFIELD, Ill. (WLS) -- Brookfield Zoo reached a milestone on Tuesday. 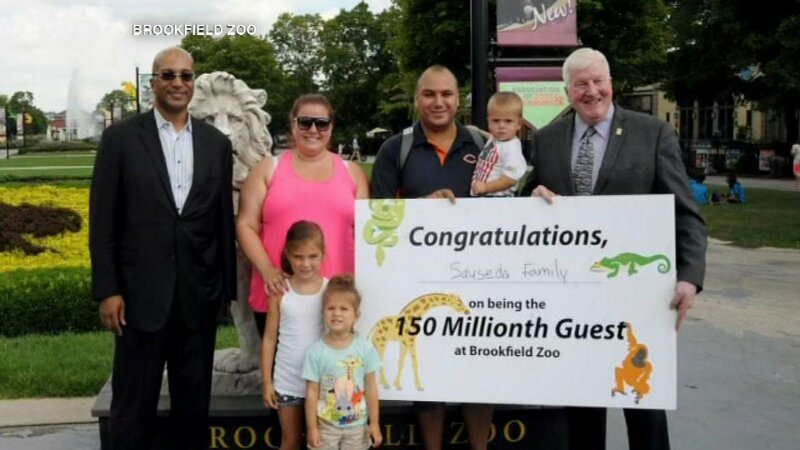 Rick Sauseda of Elgin was the 150 millionth guest to walk through the gates of Brookfield Zoo. Sauseda, his wife, Agnes, and their three children were gifted a five-year unlimited family membership to the zoo. When they come back to visit, they'll get a behind-the-scenes experience with the zoo's giraffes.